Leaders of the European Union have accepted UK Prime Minister Theresa May’s request to extend the deadline for a decision on Brexit, until the end of October with a review in June. 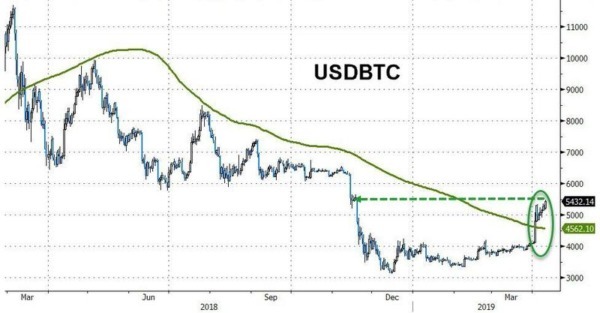 At the same time, Bitcoin and altcoins have been holding above the $5000 mark with investors hoping that a bear market is about to appear. The general economy and banking, retail, and professional elements in the UK have been uncertain ever since the hullabaloo around Brexit began. While the cryptocurrency markets are less directly associated with market factors that typically affect traditional markets, there is the question of whether or not the extension will give the crypto markets a boost. 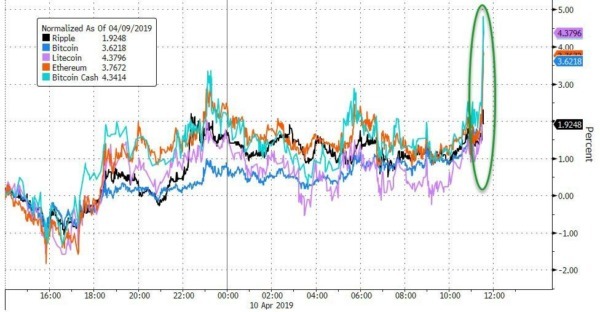 The bitcoin price surged around the time of the Brexit news leak, and the second and third charts shows bitcoin attaining a 5-month high and altcoins slowly following bitcoin. In truth, there is no way to confirm if the development will have any significant impact on the cryptocurrency market. Some investors speculated as to whether the recent spike in cryptocurrency prices had anything to do with a whale making a large trade order, but that remains speculation and does not stand as definitive proof for being the cause of the market’s increased value. Knowledge about cryptocurrency in the UK is surprisingly low. 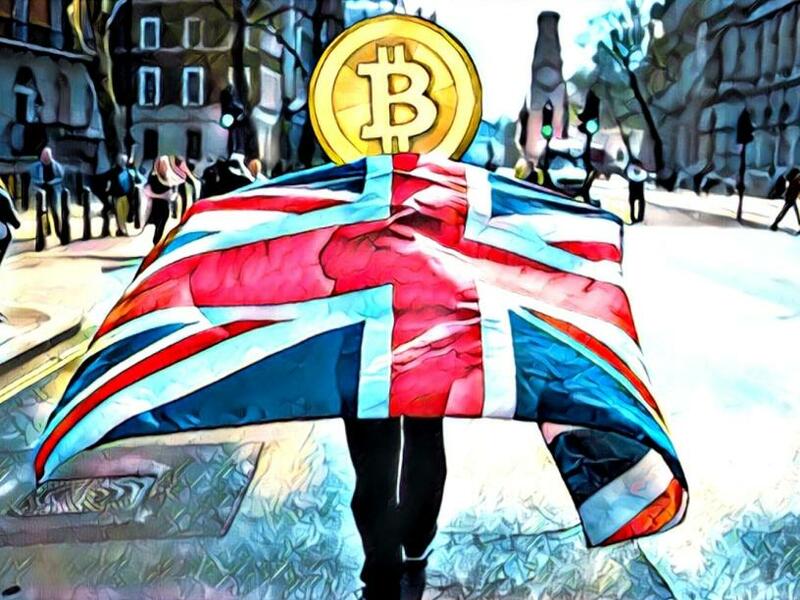 A recent survey showed that nearly three quarters of UK citizens surveyed were not aware of what cryptocurrency is. The UK’s Financial Conduct Authority (FCA) has however been looking into the subject of cryptocurrencies, primarily for the purpose of ensuring consumers are not exposed to substantial risk by involving themselves, through ICOs and services, with crypto projects. Cryptocurrencies were very much not a priority. Brexit was the only thing that mattered. Adverts often overstate benefits and rarely warn of volatility risks, the fact consumers can lose their investment, the absence of a secondary market for many offerings, and the lack of regulation. 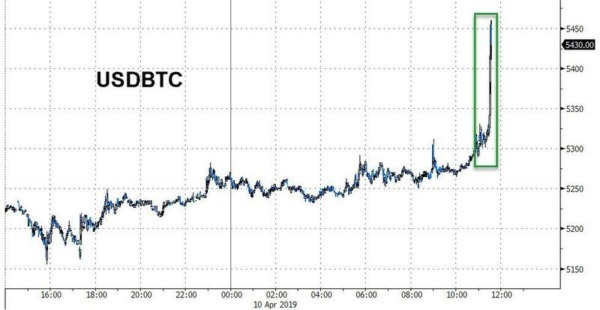 All Bitcoin price charts images sourced from ZeroHedge.